In 1993, God’s Love began our tile program to help fund the renovation of our then-brand-new kitchen. Fortunately, the tiles proved so popular that we decided to extend the program, ultimately selling more than 2,000 tiles, with all proceeds going toward the initiative. Later, in 2015, we launched another tile program called “1,000 Tiles for Love,” where 1,000 tiles were made available, purchased, and installed in the lobby of the new Michael Kors Building at God’s Love in SoHo. Today, we invite you to participate in our new “Tiles for Love” campaign, with all proceeds going directly to God’s Love We Deliver. Each tile will become a permanent part of our headquarters, displayed in a prominent place in the new God’s Love kitchen. 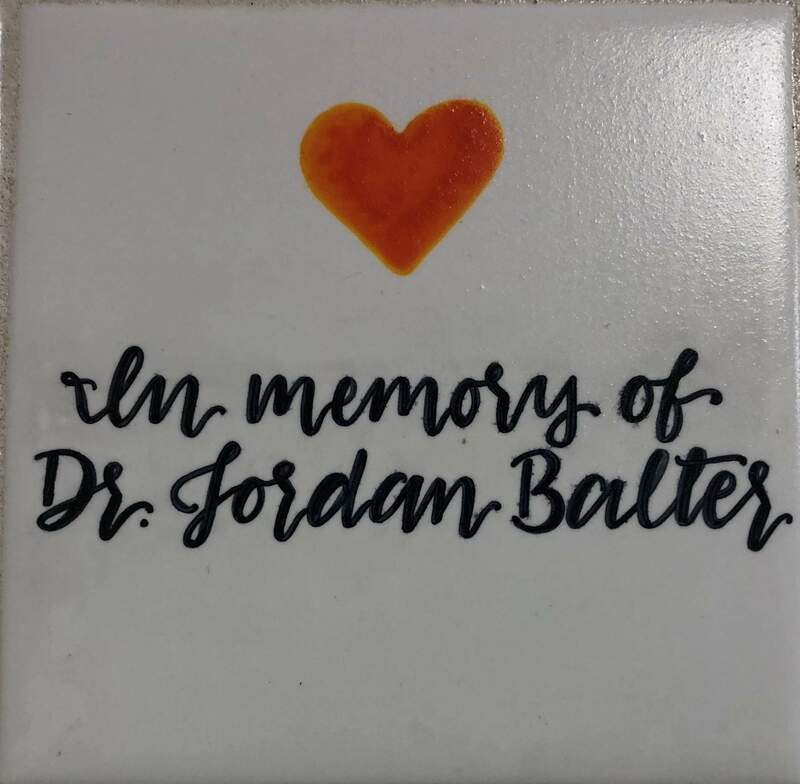 Additionally, tiles may also be purchased in honor of (or in memory of) a loved one. These special memorial tiles will bear the words “In Memory Of” preceding each honoree’s name. Please email Jessica Balboni or call 212.294.8160 for more information. Photo of an actual tile!